Other opportunities to develop leadership skills arise from the patterns established by the house system, Seamons said. Sixth-graders shepherd kindergartners from their classrooms to house meetings, and some students have been tapped to take over house planning duties from the teachers. Principal Hayes believes these mentoring activities are to thank for helping reduce bullying and other behavioral problems. Since the house system was introduced at Lake Canyon, suspensions went from nine to zero, she said, and instances of students being sent to the office for discipline greatly decreased. 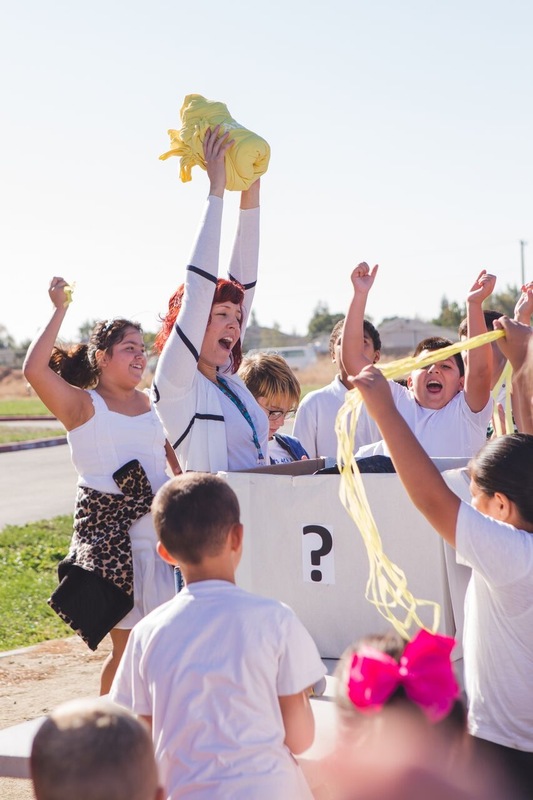 A sense of inclusion and engagement in a common enterprise can have academic benefits as well as social-emotional ones, according to Jennifer Kloczko, the principal of Stoneridge Elementary School in Roseville, California. Two teams of her teachers traveled to observe Lake Canyon’s house system in action as they launched their own. “When kids are really excited about school,” Kloczko said, “they are happier and they tend to learn more.” It’s a proposition supported by scholarly research tying a heightened sense of belonging to increased achievement. Another touted benefit of houses is easing transitions. Last year the incoming kindergarten students at Lake Canyon were welcomed by sixth-graders who had planned a new tradition. The big kids formed a cheering tunnel, placed a Hawaiian lei in one of the house colors around each little one’s neck, and invited them to play. 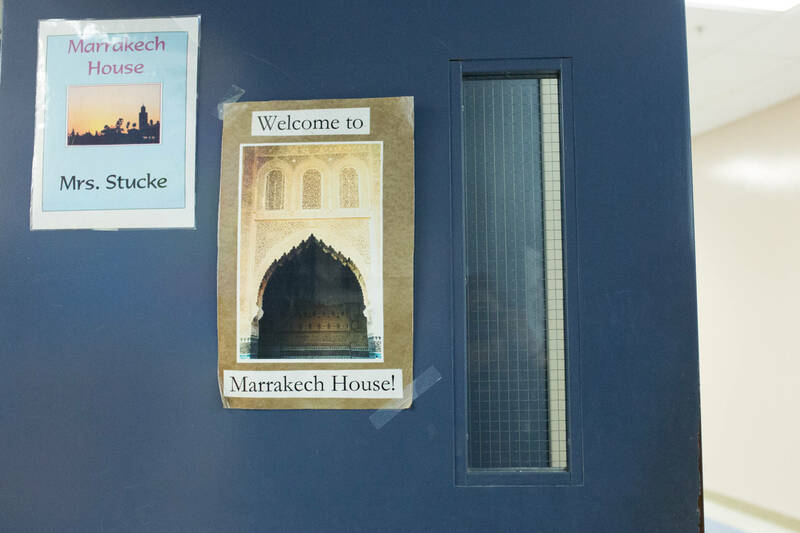 Jeff Gilbert, the principal of Hillsdale High School in the San Francisco Bay Area, credits his school’s house system with helping ninth-graders acclimate to a student body of nearly 1,500 and what can be an overwhelming roster of classes and teachers. Each Hillsdale ninth-grader spends five periods a day—math, English, social studies, science and advisory—with their 111 housemates. 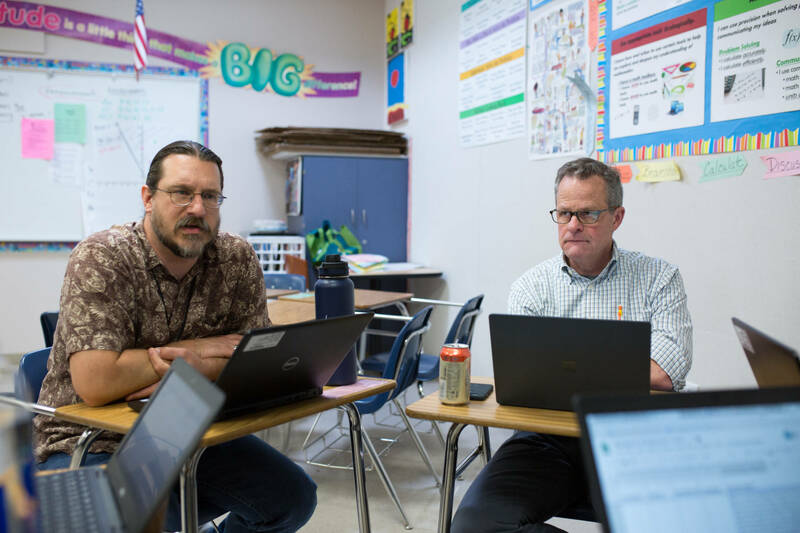 Four teachers coordinate with one another in mostly adjacent classrooms as they teach those subjects, and each takes responsibility for advising 28 of the house’s students, whom they follow through the end of sophomore year. Modern elementary and secondary house systems aren’t just a California thing. 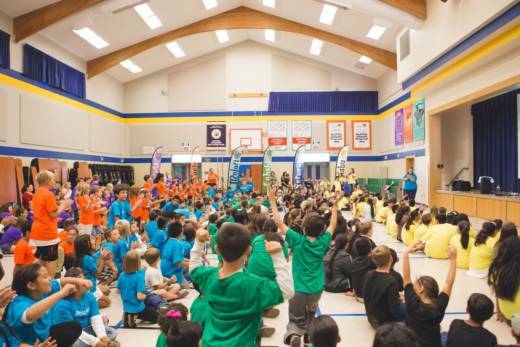 The 735 kindergarten through fifth-grade students at Richard J. Lee Elementary School in the small Dallas suburb of Coppell, Texas, eat lunch with their houses. Ottway Elementary in Greenville, Tennessee, provides students with lanyards marked by the colors and names of the school’s four houses, each named for a rare gemstone. And at Jackson Road Elementary School in Griffin, Georgia—where houses have not just missions, colors, chants and symbols but also hand signs and mottos—each classroom contains four colored containers. Students who earn a house point are given a bean to place in their house’s container which, along with the others, gets periodically emptied into a larger one near the front office. They introduced staff to the concept before school let out for summer and asked for help choosing the six character traits that would determine the house identities. “We really wanted a buy-in from the rest of the staff,” Seamons said. “They were familiar with the Harry Potter books,” Hayes added, “so it wasn’t a completely foreign concept,” but she made sure to hammer home the potential benefits. She was also careful not to demand too much extra work from teachers, setting aside about 25 minutes out of each 90-minute staff meeting for planning house meeting activities. Dan Green helped launch a house system at California’s Goleta Valley Junior High in 2003. In a paper on the topic, he wrote that some teachers worried competition might decrease collegiality and self-esteem. Administrators there responded by carefully calibrating the point system “to award participation, effort and growth just as much as achievement,” Green reported. Lake Canyon’s experience would seem to provide a roadmap for successful implementation, but it might not be that simple. Hayes paid for things like the banners and T-shirts with a portion of federal funds the district won in 2012. At Stoneridge, Kloczko relied on the financial support of the school’s Parent Teacher Club, as well as nine teachers who fundraised to attend the Ron Clark Academy. Gilbert said Hillsdale received a smaller learning community planning grant in the late 1990s and another grant in 2002. Aside from some expense, “it requires a long-term commitment,” Hayes said, as well as whole-school involvement. There also doesn’t yet seem to be reliable data on the efficacy of houses. Lake Canyon’s suspensions decreased, yes, but causation is difficult to establish since the school launched a restorative justice discipline model around the same time.